For the past few years, Ali Koehler has been best known as the drummer of the pop group Best Coast and the noisy girl punk trio Vivian Girls. After her departure from Best Coast, Koehler decided to step up from behind the kit to front a band of her own, embracing her melodic punk-spirited songwriting impulses with Upset. 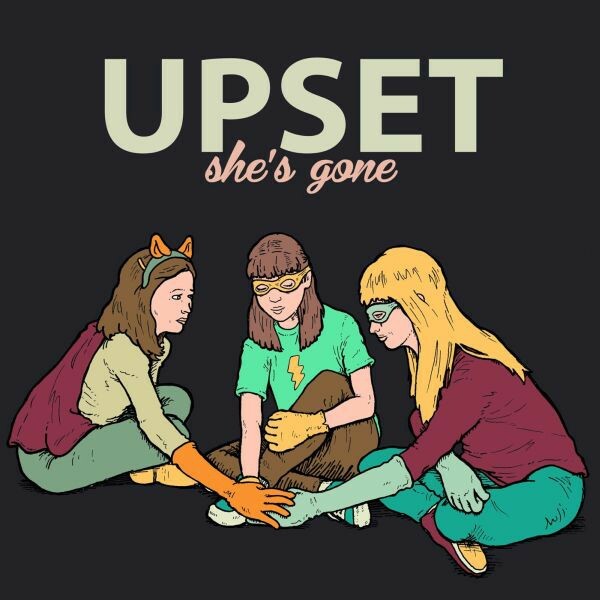 Joined by Patty Schemel (of Hole) on drums and Jennifer Prince (of La Sera) on lead guitar and vocals, Upset will release its massively hooky debut record, She’s Gone, this fall. With 12 songs in just under 30 minutes, it’s a pop-punk album that immediately sounds classic, full of unshakeable hooks and the sincerest of shouts. It is fitting that She’s Gone will see a release with Don Giovanni Records; the record could easily fit in the record collections of Ergs! or Lemuria fans. She’s Gone was recorded primarily at Koehler’s house in April of 2013 by Kyle Gilbride of Swearin’.